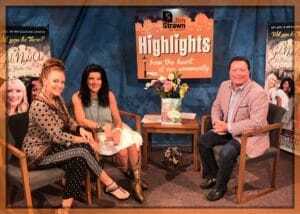 The show airing July 24, 2017 – July 31, 2017 ‘highlights’ the YWCA’s Resolve Family Abuse Program and their upcoming Girls Night Out event & Miss Teen International Pageant coming to Charleston, WV August 3rd-5th. 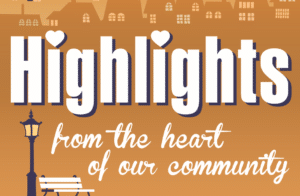 We interviewed Kate Flack, Director of Communications & Development for the YWCA. She talked about the YWCA programs namely the Resolve Family Abuse Program. YWCA Resolve Family Abuse Program offers 24/7 shelter, a crisis hotline and emergency intervention for victims of domestic violence. Providing services for the entire family in Kanawha, Clay and Boone counties, YWCA Resolve also offers case management, court advocacy, counseling, support groups, safety planning, monitored parent-child visitation/exchange, programs for children, teen dating safety and batterers intervention/prevention. Girls Night Out is a fundraising event that assists victims of domestic violence. The 19th annual event is set for August 19, 2017 from 6-10 at the WV Culture Center. They discussed what to expect: delicious foods, spirited drinks, girlfriends coming together, dancing, shoe contest, and much much more. The theme is Boho Chic. We also interviewed Elizabeth Taylor, Assistant Director of Miss Teen WV and Elizabeth Dietz, Miss Teen WV. Ms. Taylor talked about the upcoming the Miss Teen International Pageant coming to Charleston, WV on August 3-5, 2017 at the Clay Center. Elizabeth Deitz, a Senior at Nicholas County High School is Miss Teen WV 2017. 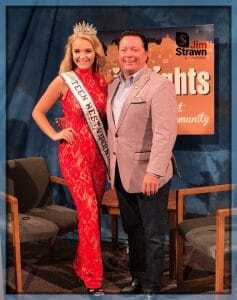 She spoke about what it means to compete in an international pageant in her home state and she also talked about her platform; autism awareness and treatment.